I'm all about saving a ton of money, but even a few pennies is still better than not saving anything. Those pennies add up pretty quickly. I do the majority of my shopping online, with the exception of groceries and trips to Target, so I have amassed a collection of apps that help me save money on my travel and everyday purchases, so I can travel more or even just do a little more on my next trip. 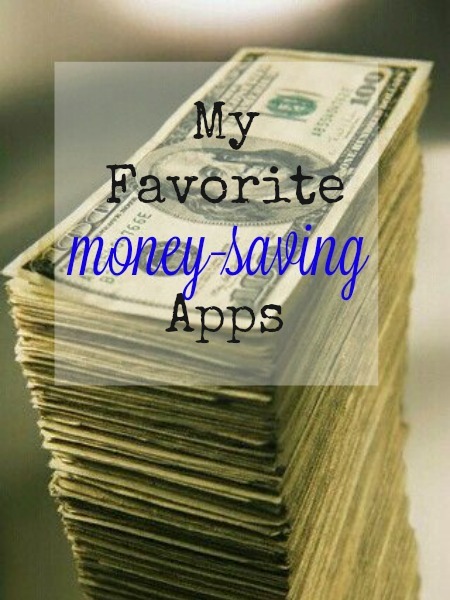 Read on for my favorite money-saving apps. Not all apps are to use on your phone. I've got several that I use on my computer that are extensions of Chrome and which automatically activates when I go to a site that is a featured merchant of that site. This is my #1 money-saving app. There are so many merchants that work with them to save you money. While you can always go to the Ebates page before you make any purchase, it's a lot easier to add the Chrome extension to your browser, so the cash back button pops up when you go to any website that is a member of the system. It's so easy. Ebates is basically a huge affiliate site and they share half their commission from merchants with you. That commission can be anywhere from 1% to 50%. 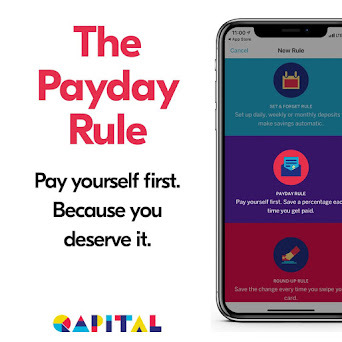 Every day there is one or more merchant that offers you double cash back through Ebates, and there are often double cash back events throughout the year, where tons of stores participate. Not only that, but the extension lets you know what coupon codes are available and can automatically apply them at checkout. Sign up for free now + get $10 added to your account upon completion of your first purchase. You also get a cash bonus when any of your friends sign up using your link. This is another cash back app that can be used as a Chrome extension. I also have it on my phone and use the website, because you can earn Swagbucks (SB) for every purchase you can make from participating merchants, taking surveys, playing games and more. Your extension works just like Ebates's above and pops up at the same time if both companies feature the merchant (it can be a bit annoying for everything to pop up while you're trying to read the site, but it's worth it to save the money). SB can be exchanged for gift cards for everything from restaurants, Amazon and even Paypal, which is the same as cash. Sign up for free now and get $3 as a bonus for being my referral. Get $3 for every friend you refer + 10% of their earnings for a lifetime. That's free monies! 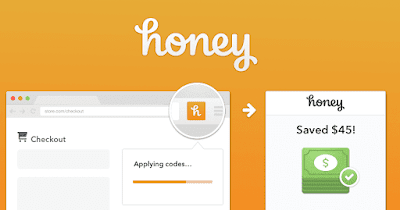 Honey is one of those sleeper apps that you never heard of and then wonder why nobody told you about it. It hangs out on your Chrome bar until you're ready to check out, then if there's a working coupon code or the ability to earn cash back, the app pops up, tries all those coupons (if you click on the button) and hopefully one of them works. It's not as intuitive as Ebates or Swagbucks and can add a few minutes to your checkout while it manually tries all those coupons that may or may not work. You can also see what cash back it offers, so you can decide if you want to use it or the other cash back apps instead. Sign up free at JoinHoney and start accruing HoneyGold. Once you reach 1,000 gold, you can trade it in for a $10 gift card, like from Amazon (my personal favorite) or Sephora. Any friend you get to sign up with your referral link will earn you $5 after their first qualifying purchase. I'm sure you're already using these Daily Deal sites. I have both apps on my phone so I can search for cool stuff on-the-go. I've often purchased deals while on vacation and can show them my purchase on my phone when I use it. It's also nice to not have extra paper floating around, especially when you're on vacation. Saves time and paper. Groupon owns Living Social, but they have two different sites that often have completely different listings. With Groupon, you can save up to 90% off activities, services, products and even travel. I subscribe to my home city, but then about 3 months before I travel, I subscribe to my destination city as well, because most have a expiration date 90 days after purchase. I've saved hundreds of dollars on restaurant and activities while traveling and my trips have been extra awesome and budget-y. Woot! Sign up for Groupon for free and then receive a $10 credit anytime you refer a friend and they make their first qualifying purchase. You may even get your deal for free by sharing your purchase with friends and then purchasing through that link as well. Sign up for LivingSocial for free. While they don't have a traditional referral program anymore, you can share your deal purchase, and if 3 people purchase through your share link, you get yours for free (not all purchases are eligible, but it's still fun to do stuff with friends, even at a discount). You may already be using RetailMeNot, but do you know that they have a Genie extension for your browser that can net you cash back? Or that you can get the app on your phone and get deals out in the real world? You can! RetailMeNot uses the power of people to create the most extensive list of coupon codes on the internet. Ebates, Swagbucks or Honey can't find you a coupon code? Check RetailMeNot! Out and about at your favorite store and wish you had a coupon? Open your app, look up the store (or it'll automatically find it with your phone's location) and pull up any in-store coupons that you can use at checkout. Sign up for free! Sorry, it doesn't matter who you refer, you get nothing but the satisfaction that you helped someone else save money. So, sometimes I don't need to spend a ton on a rental car, because I don't need to drive that many places, that's when Uber and Lyft come in handy, like when I go to Vegas for the Travel Goods Show. I use the monorail to get to the convention center and back to my timeshare, but sometimes I want to go somewhere off the Strip, or get to/from the airport. Uber can really save me a lot in taxi fees, time by not using public transit, and my feet by not having to walk a long way. Sign up for Uber for free and get free rides by referring friends. Use my link or use this code on the app: ubershereentravels. 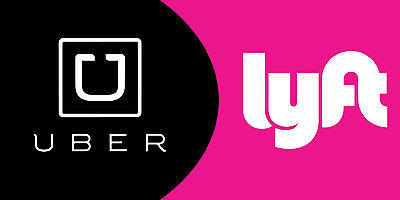 Sign up for Lyft for free and get a free $5 ride credit. If you're on the app: use code SHEREEN148653 for your free credit. Refer friend and get $10 in ride credit for yourself. As much as I love renting a car, sometimes it's just too crazy expensive. I've been looking for a car for 5 days in Los Angeles, so my friend and I can do some sightseeing and make it to Universal on our own schedule. I've checked Turo before, which is a car share service, sort of like Airbnb for vehicles. I found a great car to rent from a person who had awesome reviews and they were willing to drop the car off at the airport too. Even with that $50 delivery fee, I paid just $160 for 5 days. Compare that to $340 for using any traditional rental car service and I think you won't care too much that the car you've chosen is not brand new either. Since I won't be doing long journeys, driving less than 200 miles to go from LAX to Anaheim to Universal back to Anaheim to downtown LA and to LAX to go home, I don't need anything that's brand new and pristine. Definitely worth saving $180. That's so much Harry Potter merch I can buy now! Sign up for Turo for free (they will ask for your driver license info to do a quick background check on your driving record) and get a $25 credit, + refer a friend and you both get a $25 credit once they travel with Turo. Obviously, these are not the only apps I use to save money, but these are the ones I use the most or, in the case of Turo, looking forward to use a lot more than I currently do. Do you have a favorite app that saves you lots of money? (Or even just a little bit of money.) Share it in the comments so we can all save! Disclosure: This post features affiliate links. Thanks for using them!